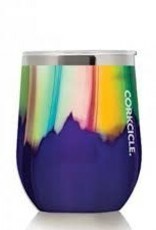 You'll be hypnotized by the diffuse glow of mesmerizing colors of the new Aurora Corkcicle inspired by the northern lights. 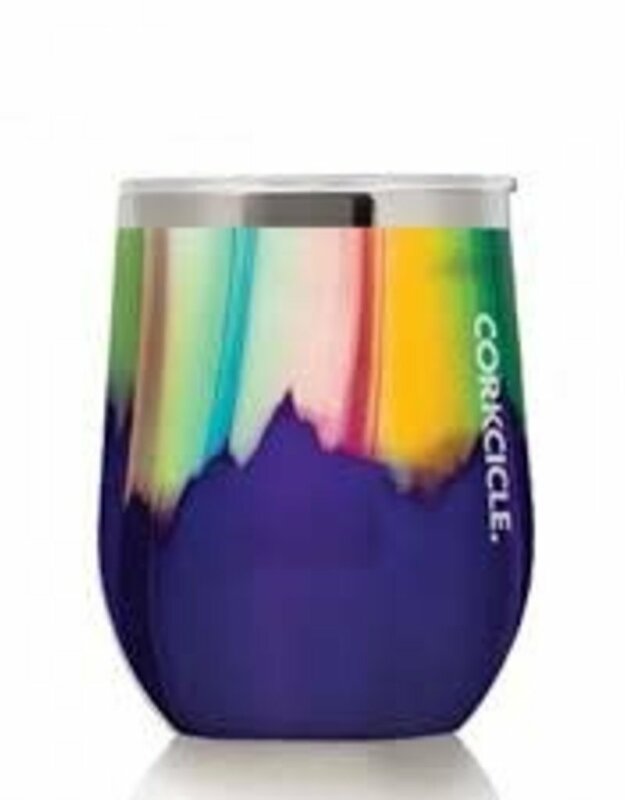 The new modern, wine glass-inspired silhouette is the new favorite for all your drinking needs, from wine to water and everything in-between. Stemless goes where glass can't! Enjoy your favorite cold or hot beverage anytime, anywhere. Triple-insulated stainless steel will keep your drink cold for up to 9 hours, even in the sun! Keeps your tea or coffee hot for up to 3 hours too! Includes shatterproof plastic lid designed to be sipped through and spill resistant. Easy-grip flat sides and no-slip bottom means this tumbler will stay where you put it. Built in slider is easy to use and when closed between sips help the tumbler maintain temperatures. Personalize starting at only $10.00!